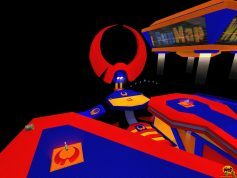 PadCrash is ENTE’s last map for Quake 3 Arena and is a little out of the ordinary. It is a so-called platform map and, very colourful and was created on a whim for the [PAD]Community. 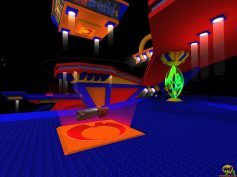 The map is influenced a lot by the Quake 3 Arena map Q3DM17. All together there are three variants, one small and fast, one for the game type Capture The Flag, and one variant which is more oriented towards the map template Q3DM17. 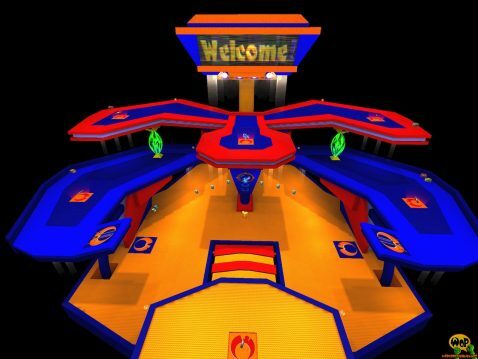 At the same time it is ENTE’s first map supporting the game type Capture The Flag. The version in WoP today, is an indispensable part of the standalone game.